UPA-II has ruined India during the last 5 years. The boom that could be seen 7-10 years ago now seems like a bubble which was bound to burst. No one can argue that these elections are more about humiliating UPA so that they are never able to recover from this defeat. The presence of AAP will only give Congress a chance to survive this much required blow. While I always believed that AAP was not a ‘vote-cutting’ party in Delhi, the Lok Sabha is going to be a very different story. The number of voters in every constituency is very high, and winning a constituency requires widespread influence, especially at the grassroot level. We already have a number of parties ‘cutting’ votes, AAP will only facilitate such MPs to retain their seats. Yogendra Yadav has long been mentioning the 31 committees that are working to formulate AAP’s national policies. But what worries me the most is the economic policies of AAP. – Prashant Bhushan has recently been very friendly with Marxist & Communist leaders, often sharing his views with them and getting appreciated. While AAP claims that it is neither Left nor Right, their inclination towards the Left is a cause of worry for the nation which is already reeling under high fiscal deficit and slow Industrial Growth. – Though Kejriwal very clearly talks against freebies in his book ‘Swaraj’, free water is clearly one. Such expectations will be there if they fight the Lok Sabha elections. Not all states can afford free water and cheap electricity and subsidizing such basic necessities will put tremendous stress on our Current Account Deficit. Explaining these terms to a person in a village is not possible and AAP will have to realize it sooner or later that elections are not about announcing freebies alone. – The socialist outlook of Mr. Yogender Yadav is also a cause of concern. We have already seen the outcome of the socialist policies of Nehru. It is very important for AAP to make it clear whether they will support the socialist policies or come out with some out of the box ideas. Until then, AAP should be seen as a burden to the already fragile and suffering economy. – In Delhi, AAP has been focusing on corruption and cracking down on the inefficient bureaucrats. But what I fear might be neglected is the industrial growth and the revenue generation if no strong policies are made to encourage small businesses and young entrepreneurs, something that Kejriwal initially supported but hasn’t spoken about lately. – The economic policies and initiatives of BJP have been good and the fact that BJP governed states have actually shown strong growth even during the slowdown of the Indian economy does make one think that AAP may not be able to compete with BJP’s economic vision. – Opposing FDI throughout India is again a policy that will affect the economy. While opening ourselves completely might put our small home grown business at risk, the revenue and the employment generation does make up for the losses. So opening ourselves to restricted FDI in some of the industries can be a good move, but blindly opposing it will only cause the investors to be wary of investing in India. Parties like BSP, SP, CPI(M) etc. have always focused on opposing policies that affect their vote bank. How many times have we seen the coalition partners of UPA changing during the last 10 years? Almost every year someone withdraws support or rejoins. What did we get in the end? A 2G scam by a regional party DMK! Every party wants a good portfolio to siphon out money (like all Bihar leaders want railways!) All this is ONLY because of the arm-twisting that goes on for 5 years in the name of support. Major policies are opposed mindlessly and the populist policies are supported by everyone. 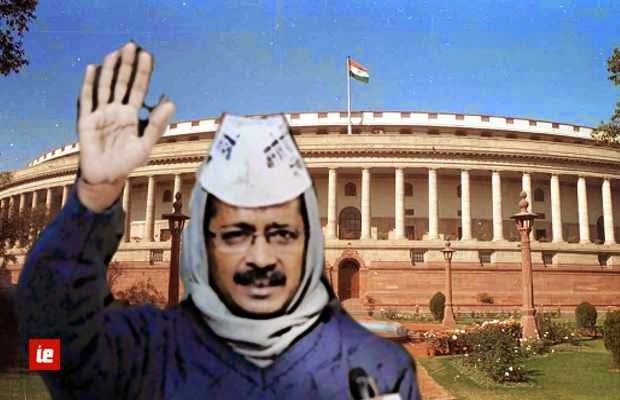 AAP by winning anywhere close to 30-50 seats could again fragment the parliament further and what we will surely see is more arm-twisting, this time by AAP. Let one party come close to majority for once, because anyway even coalition governments are difficult to bring down in less than 5 years. 5) Finding clean candidates is easy, but tracking their honesty is not! While finding good candidates out of a billion people is not difficult, but let’s not forget that AAP has only 3 months to look for such honest people. Can the leaders of AAP screen and judge so many candidates and be sure that the ones they choose will not work for personal gains? Managing Delhi was easy, and will be easy in the future as well since it geographically fits in a very small area. But managing candidates at an all-India level is just not possible without a well-defined process, something that is missing from AAP’s structure. If one has analyzed why AAP was able to win Delhi was because of the convenient size of Delhi. Not much effort was required to travel from one constituency to another and AAP was able to manage with just 5-10 leaders. Jan-sabhas got good response since they were right in the neighborhood of the people. But is it possible to hold jan-sabhas in huge constituencies? Some of the constituencies may not have dense population, but could be half the size of Delhi! How will then AAP manage its resources and make its leaders available for jan-sabhas? And I’m sure, jan-sabhas will be replaced by rallies, like the Jan-Vishwas Rally in Amethi. 7) Swaraj – yet to be tested and risky! While no one can argue that the concept of Swaraj is really attractive, but such changes cannot be incorporated overnight. What Arvind tried by holding his ‘Janta Darbar’ was actually a very predictable failure considering that no process had been defined to involve people and refine the frivolous complainants! Without seeing the practical implementation of Swaraj (and Delhi is the best place to show it), it is just a risky concept which may give power to people to fight against each other for resources. Yes, it is now time to talk about Prashant Bhushan and his views that have caused an uproar everywhere. While there is no doubt that his intention is to make the life of Kashmiris better, holding a referendum for such issues could be disastrous. What may be successful in one state could mean expectations and hostilities in another, for example the North Eastern states. What if Kashmiris vote against army presence and the rest of India votes in favor of it? Whose referendum our we going to accept? Politics needs maturity, and though they are maturing fast enough, we cannot afford to put issues of national integration at stake by giving power in the hands of people who are yet to prove their worth politically. The word that has ruined India and divided us on the basis of our caste- the R-word. While Kejriwal’s views on reservations are impressive and give us some hope of seeing a revamped social structure, they will not be accepted by the people who are used to reservations. There will be stiff resistance and violent protests if the scope of reservations is decreased. But at the same time, Mr. Yadav supports including more communities in this framework. There are already many communities trying to get reservations and there are a number of political parties supporting them. How then is AAP different from others? We just can NOT afford to have any more parties which support reservations. Hope AAP will make its stand clear in the coming days and impress everyone, till then I would personally refrain from supporting AAP. The major mistakes of AAP have been while handling religion, even though Delhi is one of the easiest states to handle because of its tolerance for different religions and communities. But going national will mean having a very very sensitive approach towards religion and being secular- not like the BJP or Congress. Can AAP do it? Looking at the age and experience of its members, it seems very improbable. The media will hound the members of AAP to death, and any comment that fuels hatred will be repeatedly shown to gain TRPs. And considering that AAP has only 3 months to mature, it really is a difficult task. What makes me discuss inexperience? Because the actions of AAP after coming to power in Delhi have shown its inexperience. Mr. Vishwas has started talking more than before- challenging Modi was one thing he should have avoided right now. Prashant Bhushan has made very dangerous statements. Kejriwal and his young cabinet have been struggling to face the media, specially Rakhi Birla who has been rude at times. The Janta Darbar itself was a clear display of inexperience. Anyone could have predicted the chaos that one would witness without any defined process. Even Mr. Sisodia wants people to volunteer and monitor the government schools. But again, is it feasible without a well defined process? I do agree that contesting on all seats is important for people to take AAP seriously. I would love to see AAP sitting in the opposition by cleaning up parties like SP, BSP and reducing Congress to a regional party. But by focusing on the downfall of BJP, AAP will surely put India’s next 5 years at risk- political instability, policy failures & economic downfall might follow if AAP hurts BJP more than the regional parties. It is therefore important to focus on Congress ruled states and some others states that are ruled by regional parties like UP, Bihar, Jharkhand, Tamil Nadu and. It will be great if AAP leaders fight against incumbent leaders like Rahul Gandhi, Sonia Gandhi, Digvijay Singh, Kapil Sibal, Rajnath Singh, Nitin Gadkari and throw these people out. We all know AAP is the only party that has the potential to do so. It is important to set examples of honesty and clean politics, but not at the cost of India’s development.